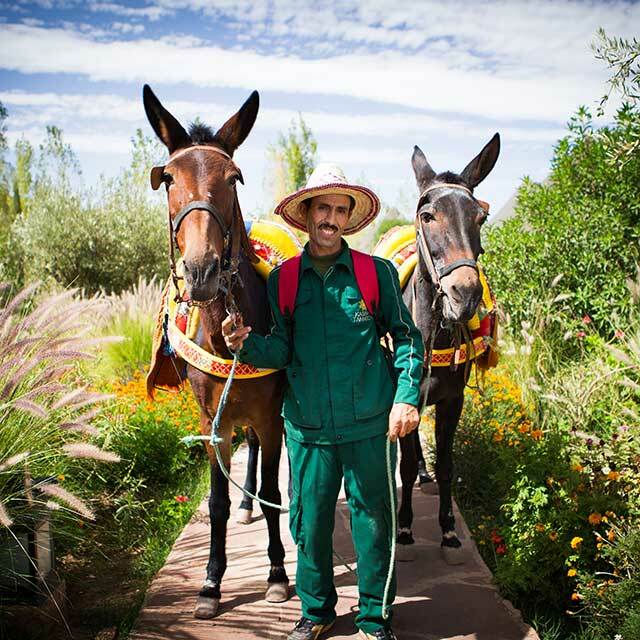 Kasbah Tamadot in Morocco's Atlas Mountains is filled with staircases, courtyards and gardens. Getting yourself orientated may take a while but worth every step. 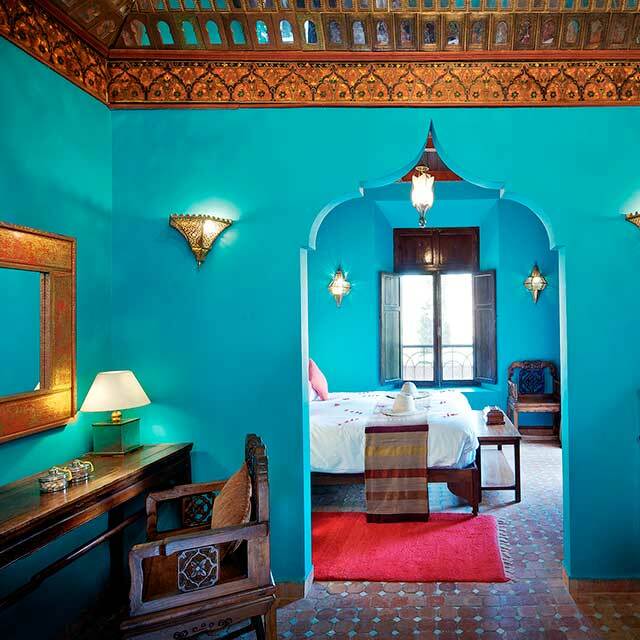 A stay with us is like a stay in your very own Moroccan home and the feeling you get on arrival is hard to beat so you’ll just need to keep coming back. A stay with us is designed to feel like a stay in your very own Moroccan home, and the feeling you get on arrival is hard to beat. Take a dip in the outdoor infinity pool whilst enjoying the stunning views of the Atlas Mountains. If outside is a little chilly, don’t worry we’ve got you covered with our heated indoor pool. In the Berber language, Asmoun means 'a place to get together or meet', and the lounge is a great place to enjoy the beauty of the valleys below. We think it’s a perfect spot to spend the afternoon soaking up the Moroccan sunshine. Or fancy a cocktail? Soak up the afternoon views with a pre-dinner tipple. 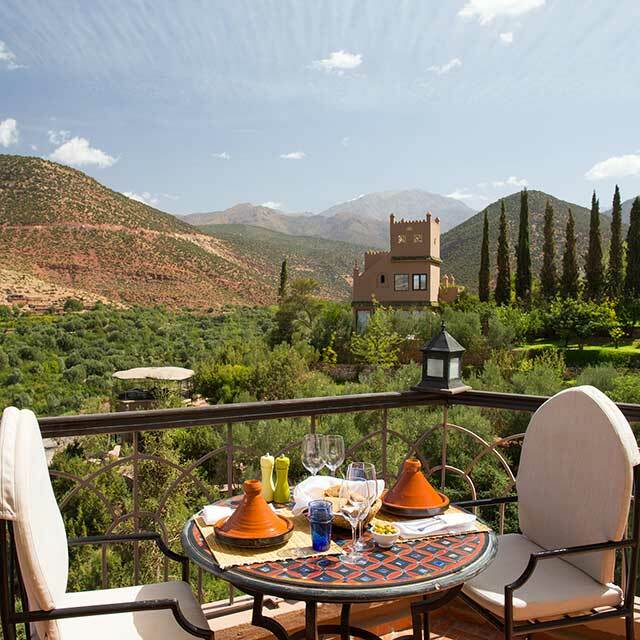 We say forever views but our Roof Terrace really does show off the beauty of the Atlas Mountains. Cinema under the stars? 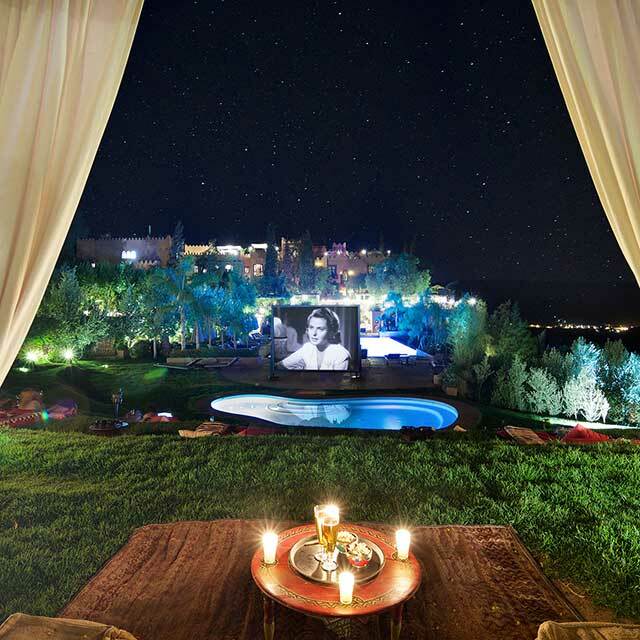 Yes please - we offer cinema nights where you can watch a selection of Moroccan-inspired films in the open-air. No stay with us is complete without a little bit of extra pampering. “Asounfou” is the Berber word meaning relaxation. To make your experience with us even more tranquil indulge in one of our signature treatments. Richard Branson’s loves a game of tennis and whenever he visits will always have a hit with our team! If you’re feeling active, grab a racquet and visit our tennis courts for a little holiday fitness. No shoes? No drama we have a variety of sizes available if you fancy a spot of tennis. Hit the gym and work up an appetite. It’s equipped with a running machine, bike, multifunctional weight station and free weights. 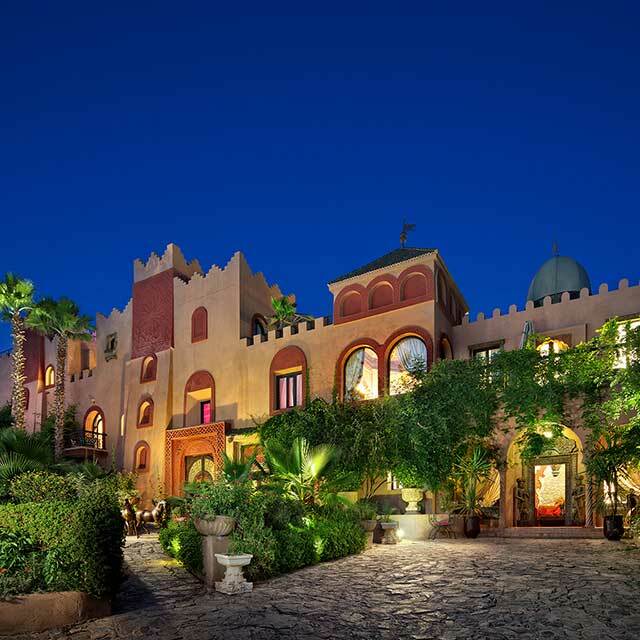 Explore beautiful Kasbah Tamadot in our interactive 360° video! Simply click on the star to guide you from area to area.